As the 40th anniversary of Shattered Faith approaches, singer Spencer Bartsch still evokes his trademark enthusiasm while remaining grateful and surprised for the enduring support. The oft -overlooked Punk group is integral to the creation and sound of Orange County’s legendary scene yet they remain in the shadows of stalwarts such as TSOL, Adolescents, Agent Orange, and Social Distortion. Bartsch views his group’s legacy as positive, with no lingering regrets. 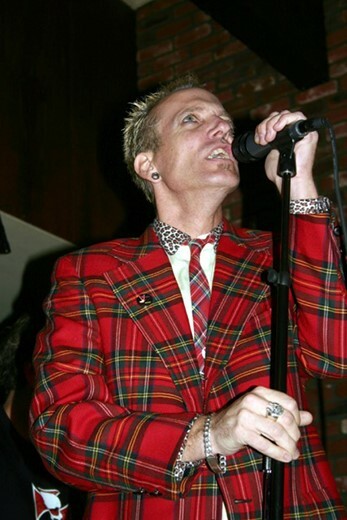 Bartsch admitted he remained out of music for quite some time before returning for a stint in The Pushers and fronting his post-Shattered Faith group, Firecracker 500; Featuring nearly the same personnel as Shattered Faith. Founding member and guitarist Kerry Martinez soldiered on and joined U.S. Bombs, earning longevity thanks to lengthy tours and countless side projects. Shattered Faith would reunite for the odd gigs but afterward they would return to obscurity, despite having laid the seeds of O.C. punk as early as 1978. Their recordings for locally renowned label Posh Boy remain sought after by collectors but Shattered Faith are not the first group to be mentioned by those seeking a history lesson in O.C. Punk. “We were right there for sure but we never had a big enough core following. It was never our intention to be this big band. Kerry and I went to the same school and were the main songwriters but eventually we just had different visions. After music I was working with the skateboarding company, Powerflex. I had my son, Branden in ’88 and I was very focused on being a supportive parent. We never thought we would make any kind of money with music anyway,” laughed Bartsch. According to Bartsch, Shattered Faith played their last official show in 1991 but subsequent local reunions would follow, reminding longtime supporters of the melodic power the group still possessed. The were able to join The Partisans for a 2004 West Coast tour, which laid the foundation for their 2008 watershed year. Shattered Faith embarked on their first full U.S. tour, 30 years after forming. Despite earning strong responses fans still had to hunt for their records, thus relegating them to obscurity once the tour concluded. The unique twist to that memorable tour was Bartsch’s son, Branden joining on second guitar. For Spencer, that proved the proverbial torch was being passed, even if he admitted his son was more passionate about ‘60s rock & roll as opposed to strictly being a Punk guitarist. “Having Branden onstage was a cool experience and I remember how he got into playing guitar. Kerry was staying with us when U.S. Bombs were recording Back at The Laundromat and Branden was really into it. Kerry would just show him some basic guitar things and then Branden asked me to take him to a record shop to check more things out. That was it, he really got into music,” recalled Bartsch. He reflected on the 2008 tour and two generations of fans coming together for the group’s biggest tour to date, adding that it was an unforgettable sight to see multiple generations of punk fans together, celebrating Shattered Faith. As their 40th anniversary draws near, he believes having three generations of fans is a possibility. “I’ve heard many stories over the years of people trudging through life and these songs getting them through the tough times, saved a few lives and even sparked a few marriages. On Bootleg, released by Finger Records there are photos in it from a family we met in Ventura when we toured with The Partisans. The husband and wife met at one of our shows in the ‘80s, fell in love, got married and had children, raising them with our music. Mirrors Reflection was their wedding song! Their kids knew everything about us and that was probably the highest compliment an artist can get,” shared Bartsch. According to Bartsch, Hostage’s continued support will ultimately lead to another record, perhaps Shattered Faith will replicate and ultimately top Volume III’s surprising performance. “Kerry and I will be writing. As a band we all agreed that without Kerry’s input and ultimate approval it’s not Shattered Faith. If the band tours again it will be with Kerry and Branden, who plays Kerry’s parts while we’re playing on our side of the country. Branden will come on tour and the shows that Denny McGahey can’t play Branden will fill in. Our goal is to get to Europe because they treat bands well and love American Punk. Apparently there’s some interest again as Kerry’s been there with the Bombs and Bad Luck Charms and people would ask him to sign SF stuff and ask him about the band,” said Bartsch. While fronting Firecracker 500 Spencer would naturally carry over some Shattered Faith material, offering new fans opportunities to experience his previous band. The chemistry was seamless due to the similar personnel yet the group struggled mightily to book gigs. “Firecracker was an easy evolution from the previous group but people did not know who we were. Once they heard me singing, I guess because I have a distinctive voice, did they finally know we were members of Shattered Faith! But getting shows became very hard even though if you listen carefully, the music is a natural progression and I feel, at times we picked up where we had left off.” he said. Firecracker 500 were set to release their newest record via Finger Records, the label responsible for releasing Bootleg but they went under, leaving the group in limbo until Hostage Records salvaged the album, leading to its release in April. “I really have to thank Hostage for all their support, it’s very flattering and I’m grateful. What’s funny is that we had given them that self-titled record awhile back but for whatever reason, they only started listening to it again. The record was actually recorded in 2005 but they liked it so much and suggested we finally release it and that’s why it just came out,” clarified Bartsch. Asked if the songs stand the test of time he quickly stated the tracks still excite him and that his convictions have not changed much, which is why he was supportive for the release. “Songs off that record like Red, White, and You I feel have the same spirit as Shattered Faith. The only difference I can say with me and my overall outlook is that I am now sober. It was a long journey to me deciding that I wanted to get sober. I don’t have any incredible stories to share but I can say the beginning was rough for me. I’m glad to say I’m coming up on ten years of sobriety,” shared Bartsch. Bartsch’s goals remain clear and with Shattered Faith in unison to make their first European tour a reality, the group seems poised to build on the success of Volume III. Thanks to Hostage Records and the continued support of local fans, Shattered Faith recordings are more accessible than ever, allowing a new generation of fans to discover one of the founding bands of the lauded O.C. Punk movement.